Written guarantee for you to be sure you’ll get what you want. 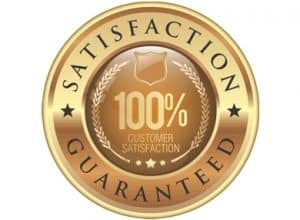 I am so confident that you will be thrilled with the quality of service you will be receiving, that I would like you to try my services risk-free for 45 days. What this means is that you can start with Custom Plush Toys, and not worry about choosing the wrong manufacturer. I will only need a few days to convince you I am your best choice to work with, but you will have 45 days to decide. In other words, you can try my Services RISK-FREE! 3) Be critical of my service, and if you are not thrilled then ask for all of your money back – with no hassles. Safety is my number one concern, and I am so confident that your toys will pass safety tests that I guarantee it. I will guarantee that every product I ship out to you will be in compliance with the safety standards in your country. Your toy will be truly unique and custom made or I will buy back every toy, plus give you $1,000 US for your trouble. Your design will never be made for anyone else, for any reason. If your approval was not received before moving on to the next step and I am unable to go back to that step, I will pay you $1,000 Guaranteed! You will have full control over your project, no matter what. CustomPlushToys.com hereby guarantees that our toy design will be from your direction. We will not start with a “stock” toy, but will create original hand sketches using your ideas. All designs are at your request, and direction, guaranteed. We will guide you on such things as safety, price, and production capabilities. We are happy to be creative with your direction and ideas. It is your responsibility as the consumer, that you do not direct or provide ideas to us that would infringe on another toys copyright. This guarantee does not cover that situation. T his guarantee is in place to ensure that we follow your direction and ideas to create a unique toy for you.